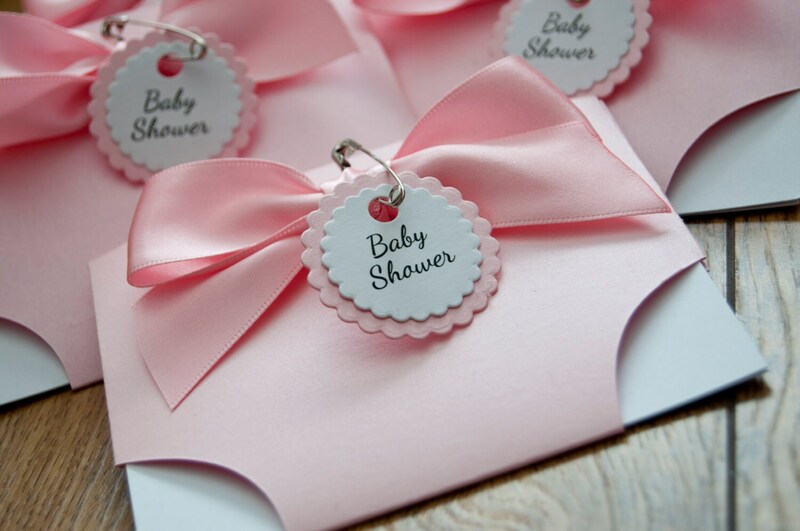 Each handmade baby nappy/diaper invitation is die cut in to shape and is finished off with a bow ribbon and safety pin. 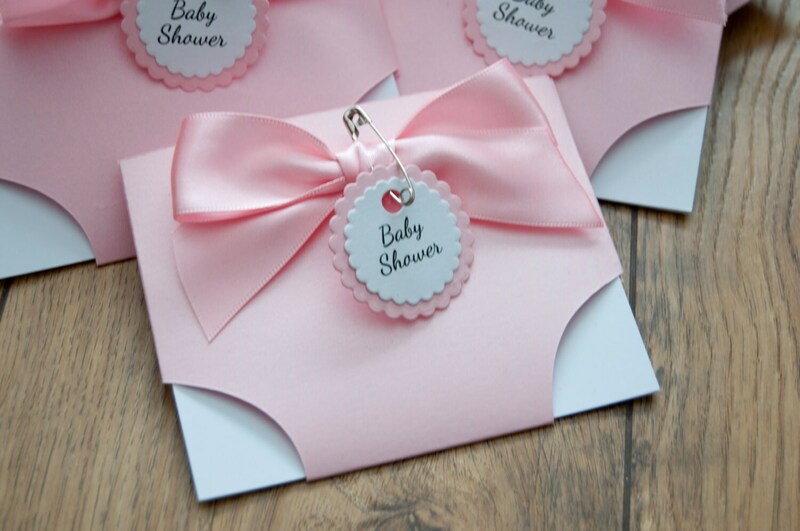 It is made with high quality card which is picked in a colour of your choice, pearl pink, pearl blue and yellow (more colours are available on request). The information is printed on white card. This also comes with envelop white. If you have any special requirements please email us. 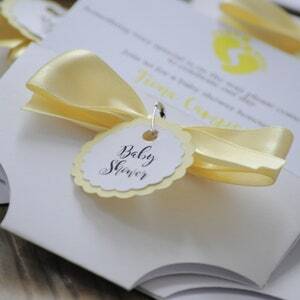 Before printing the information card a PDF will be send for proof read. All samples will take 3-7 days to make, when making bulk the making time will vary from 1 weeks to 3 depending on busy periods. UK Shipment is Royal Mail 2nd Class Recorded, Overseas is Standard international.